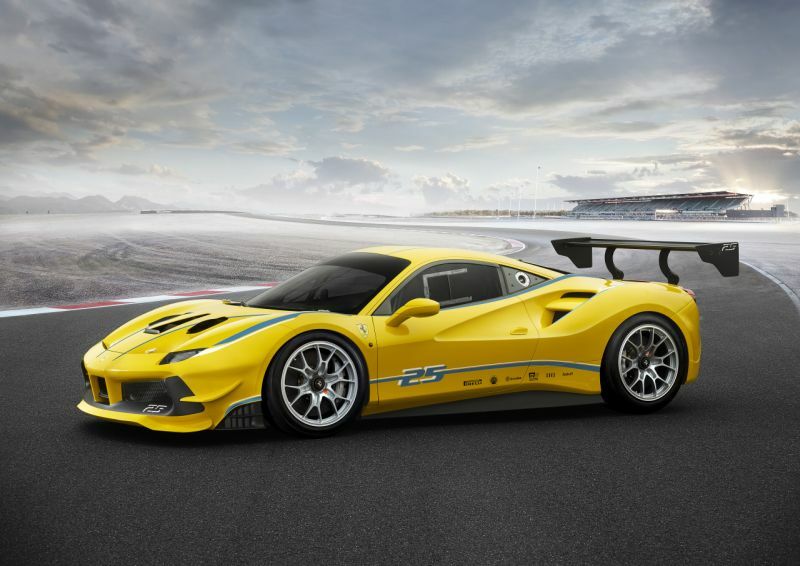 The new Ferrari 488 Challenge is the sixth model to compete in this one-make race series, which in 2017, celebrates its 25th anniversary. 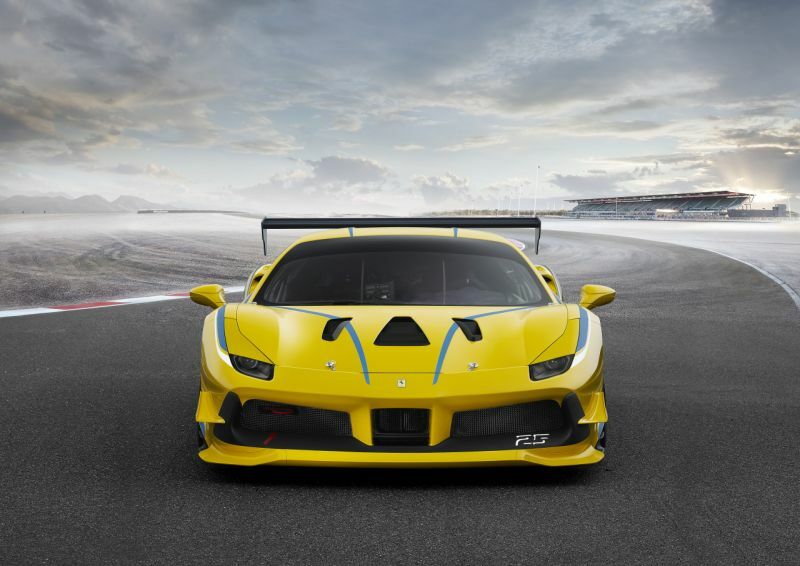 The 488 Challenge is the first ever turbo-charged model to race in this series and is the most powerful Challenge car ever produced, powered by the 3.9-litre turbo-charged V8 which still produces 670 PS. With the extensive development of the car’s engine, aerodynamics and chassis, the 488 Challenge reaches a new level of performance and is a second faster than its predecessor the 458 Challenge EVO around Ferrari’s famous Fiorano test-track setting a lap time of 1’15.5”. Compared to the production 488 GTB, the Challenge’s powertrain features specific engine mapping which is optimised for racing performance, and shorter gear-ratios. The variable torque-management has also been modified to prompt the driver to shift-up at the ideal moment during acceleration. The Ferrari 488 Challenge is also the first ever challenge car which features Ferrari’s Side Slip Control (SSC) which improves turn-in, cornering and acceleration out of corners ensuring the driver has maximum traction. 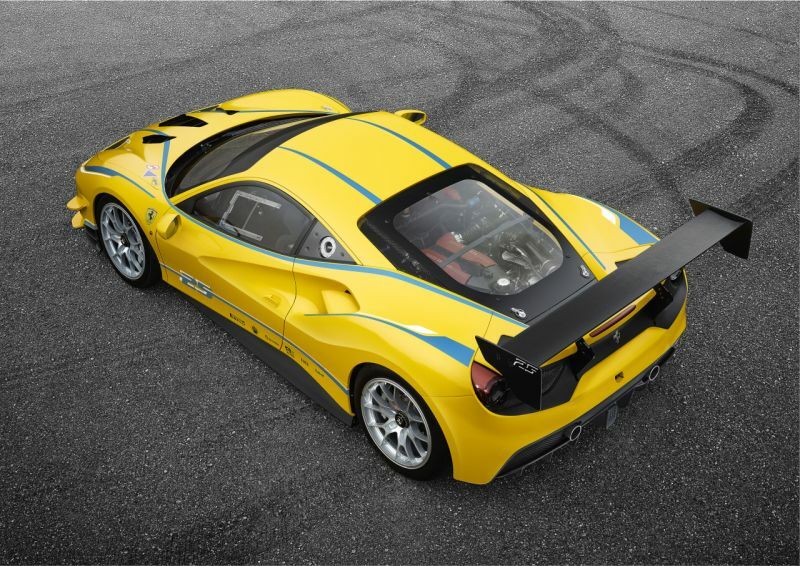 The most noticeable changes to the 488 Challenge compared to the production car are with regards to the aerodynamics. The front radiator layout was reworked, inverting the rake so that they are now inclined towards the rear. This solution improves the air flow over the radiators in racing conditions whilst, at the same time, reducing drag. The front bumper has been redesigned with a more pronounced splitter to increase downforce and balance the rear load.